Good Housekeeping magazine—together with the Good Housekeeping Institute and the Good Housekeeping Seal—is an American icon of consumer protection and quality assurance. Every issue delivers a unique mix of independent investigation and trusted reporting, along with inspirational and personal stories. The magazine’s rich tradition embodies a commitment to the modern home and to a woman’s quality of life.Good Housekeeping Magazine is one of the most trusted lifestyle publications in the country. For well over a century, it has provided readers with reliable information on finding safe and beneficial consumer products. 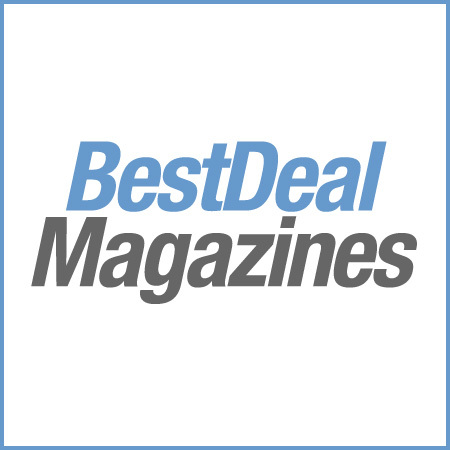 The magazine’s expert advice is supported by the long-standing Good Housekeeping Research Institute, an organization dedicated to testing products ranging from hair and skincare treatments to food and electronics. Each issue offers you tips on improving the quality of everyday life, including topics on relationships and parenting, home decorating, health and dieting, careers, financial wellness, and travel. Good Housekeeping Magazine presents a diverse blend of articles on life-management, beauty care, cooking, shopping, holiday planning, and interior design for the average woman or mother. 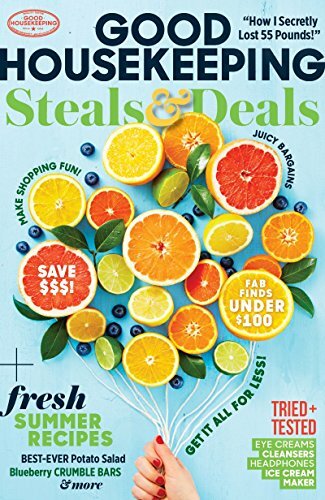 Each issue features enticing recipes for daily cooking or special occasions alongside useful tips for eating healthy and maintaining a fit figure. You’ll also find ideas for creative craft projects, maximizing space with smart storage options, and upgrading your home décor on any budget. Whether you have a spouse, children, or pets, Good Housekeeping Magazine provides timeless advice on building strong relationships and creating a healthy, advantageous environment for your loved ones. Content ranges from fun, light-hearted articles designed to stimulate your creative juices to serious discussions about heart health and battling marriage woes. The magazine aims to inspire and connect with women by sharing uplifting personal success stories and intriguing interviews with well-known celebrities. If you’re on the hunt for an entertaining read, Good Housekeeping Magazine frequently publishes reviews of noteworthy books, blog spotlights, and discussions with famous authors. With a subscription to Good Housekeeping Magazine, you join a century-old tradition of uncovering efficient, healthy, and affordable ways to provide an enriched lifestyle for your family.